CONTENTS. l I PAGE INTRODUCT . I ON . . 1 CHAPTER I. LAST STRUGGLES OF THE REFORMATIOX. 1. The Struggle in Franco. . 2. Switzerland and Piedmont . 3. Hungary, Tra lsylvania and Poland . 4. The Thirty-Years War . . 5. The Sequel of the Treaty of Westphalia 6. The Struggle in England . 7. In Scotland . 8. In Irels ici . CHAPTER 11. THE ENGLISH CHURCII. 1. Anglican Theology and Theologians . 54 2. English Sects. . 65 3. Extension of the English Church. . . 68 CHAPTER 111. THE ROMAN CHURCH. 1. General Characteristics . . . 74 2. The Papacy . 82 3. New Orders aud Societies . 93 4. Jansenism and Port-Royal . 99 5. The Gallicau Church and its Liberties . . 106 6. Mysticism and Quietism . . 109 7. Missions . . S . . . 112 CHAPTER IV. 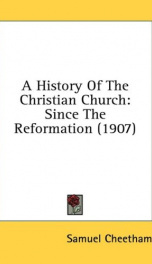 THE DEVELOPMENT OF PROTESTANTISM. 1. Lutheran Orthodoxy . 2. The Revival of Rsligious Life . A. Pietism . . B. The Bloravian Brotherhootl 3. Myotics and Theosophists . 4 Literary Activity of the Reformecl 3. The Arniinians . 6. Projectv for Religious Unity. . 7. Protesk nt hlissions . 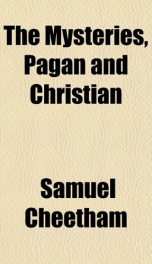 CHAPTER V. THE EBSTERN CHURCH . . 159 CHAPTER VI. THE AGE OF REASON. 1. English Free-thinking . . 167 S. Methodism and Evangelimlisni . . 185 3. French Scepticism . . - 194 4. German Enlightenment. . . 199 b. The P o p and the Princes . . 218 CHAPTER VII. THE SHAKING OF THE NATIONS. 1. The French Revolution . . . . 233 2. Kapolwm nnd the French Conquests . . 238 J. The Churches and the Revolution . . 245 4. Ihligious Romantickm . . . 247 5. S L X o f the lievolutiona y Period . . 361 xii Contents. p-. . - CHAPTER XI. THE TEUTONIC AND SCANDINAVIAN NATIONS. I. The Roman-Catholic Church. PAGE l. Cl urch and Shto . . 407 2. Literature trlid Life . . 416 3. The Contest for Culture . . 423 4 The Evangelical U io . n . . 427 6. lhwlogy and l3iLlic rl Criticism . . 436 CHAPTER XII. THE EASTERX CHURCH. 1. It1 Turkey . . 453 e. 111Gn ecs . . 454 3. In Armenia . . 456 4. 111 Russia . . 457 5. In Polaud . . 458 --This text refers to the Paperback edition.